The Waldorf School of Garden City uses a combination of a block and more traditional schedule. The day begins with the Main Lesson – a two-period, wide-ranging, multi-disciplinary inquiry into all elements of a major subject area. Teachers lead the students through a rich array of subjects in the various academic disciplines. With three to four weeks dedicated to each Main Lesson class, our students take time to explore every subject in the context of its history, culture, and impact. Primary source materials, rather than textbooks, bring students directly to the great and enduring ideas of mankind. Field trips deepen students’ understanding with firsthand experience. Independent research extends classroom discussions. For homework, students return to their block class topics as they amplify, condense, restate, transcribe, and illustrate their reading and reflections in main lesson books. The books may include references, research, essays, creative writing, scientific observations, charts, maps, and artistic work, and are both a record and a culmination of their study. These books become valuable resources and cherished creations, kept and referenced by students for years. At the conclusion of the Main Lesson, students in the high school have a twenty minute break. During this time students can purchase an organic snack in our cafeteria, bond with classmates, connect with teachers, or enjoy some fresh air outside among our specimen trees. 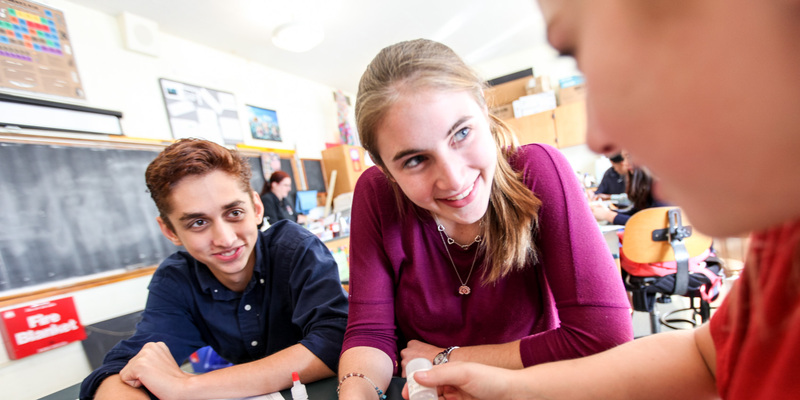 After the 20 minute break students begin a more typical schedule in a series of 45 minute classes which meet for the entire year in core academic subjects such as Math, English, Science, Foreign Language and History. 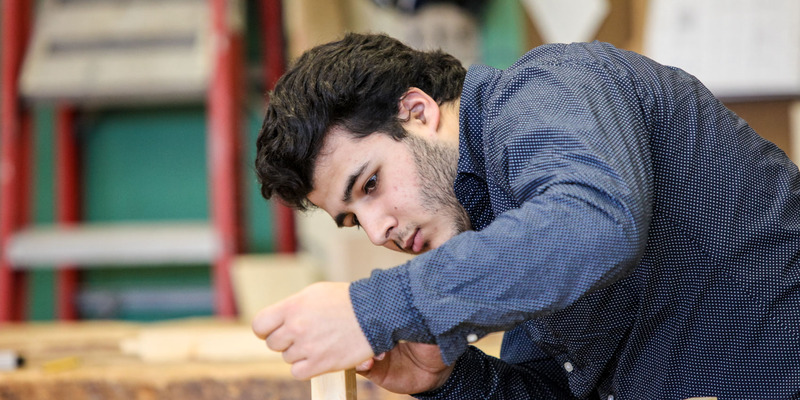 The arts are a key element in our curriculum and are required of all students for all four years of high school. Often complementing the main lesson subjects, this wide variety of arts classes offers new understanding of form and function, explores permutations and possibilities, and teaches skill and precision. Like Main Lesson classes, the arts are offered in blocks which rotate students into different artistic media roughly every six weeks. All ninth and tenth grade students participate in a music ensemble of their choosing, which meets two 45 minute periods per week. Additionally, there are times of the year where a major dramatic and musical production that include the whole class in both tenth and twelfth Grade takes place. Students meet twice a week for Physical Education, Movement and Elective classes throughout the year.